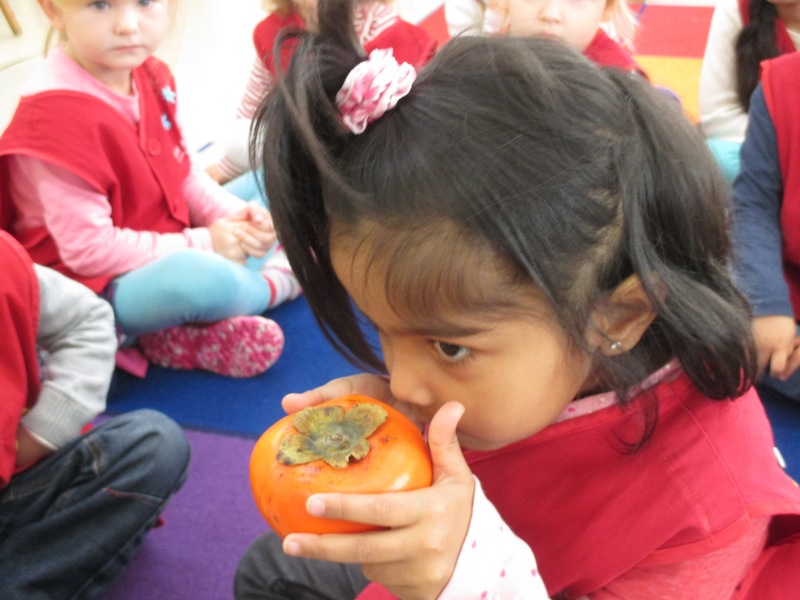 Ms. Catherine & Mrs Almoula's Class » All things Autumn! 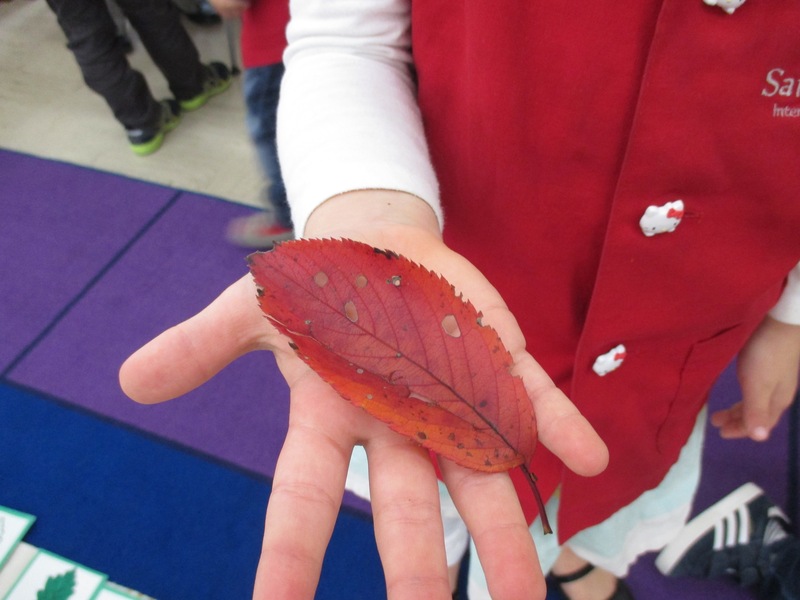 Now that the season of autumn is finally here with crisp mornings and falling leaves our class have been focusing their attention on the many leaves that we can find within our environment. 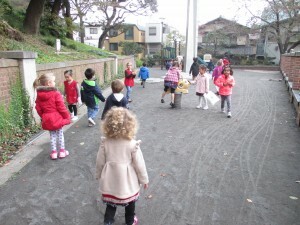 It was exciting for the children when the first leaves started falling from the trees. 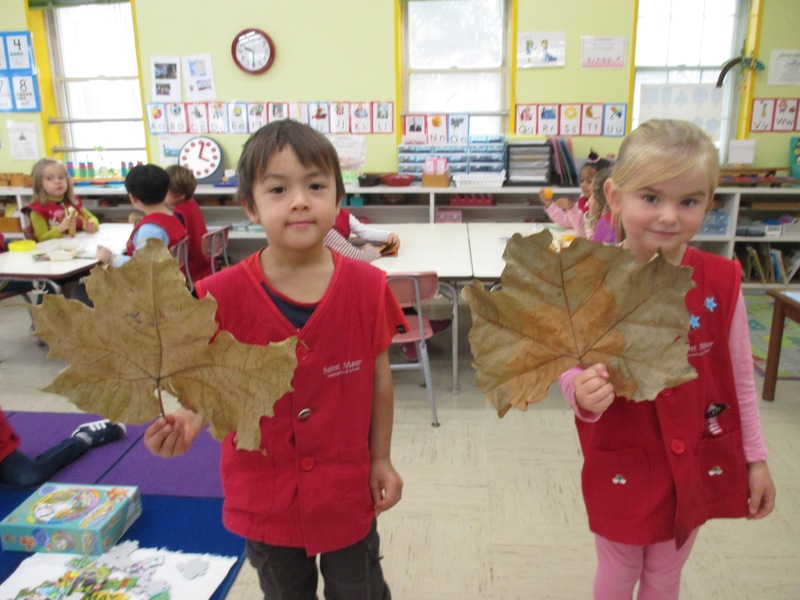 They were encouraged to bring leaves to school, so we could learn more about the leaves in our neighbourhood. We have been gathering our first autumn leaves in our leaf bowl. 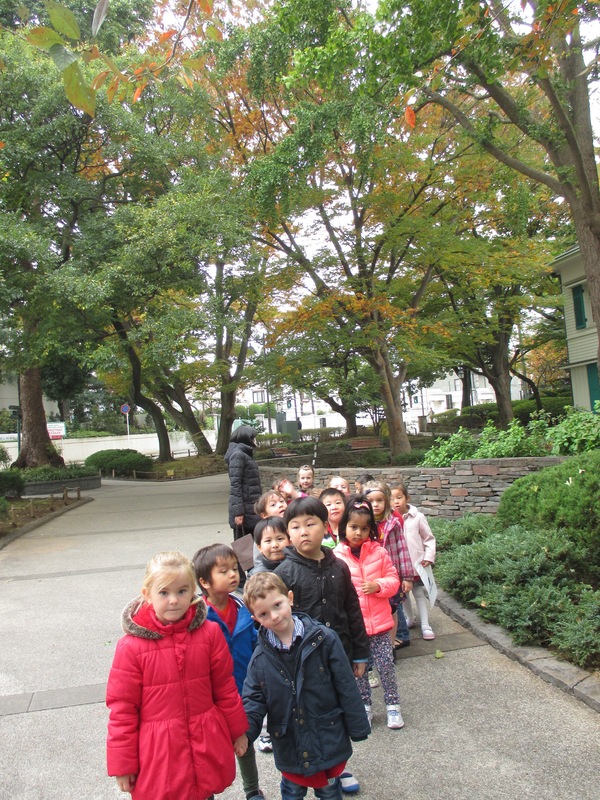 With each new leaf we tried to learn the name of the tree that it came from and we observed the different outlines, shapes, patterns and holes left from hungry insects. 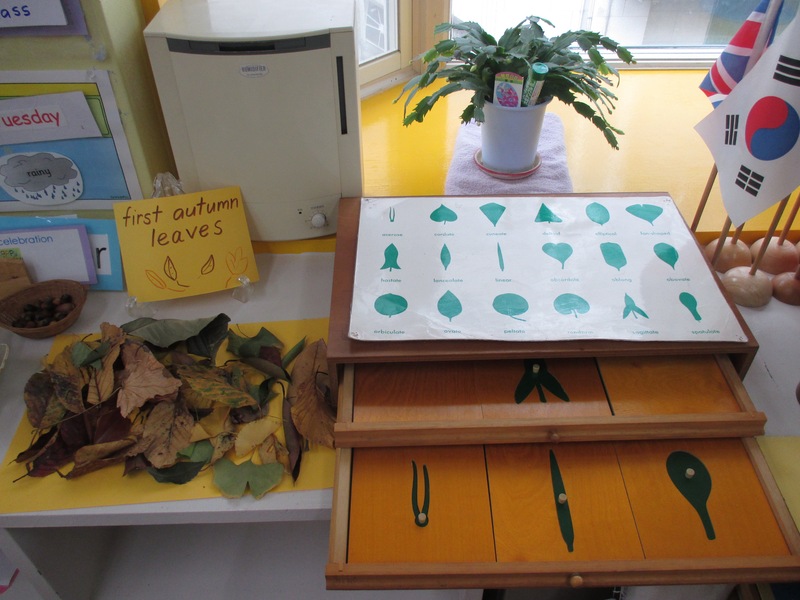 Within a Montessori classroom and in particular the “Culture Area” we have a material called the “Leaf cabinet.” Our cabinet consists of three draws of wooden leaf insets. The children are initially presented with this activity by becoming familiar with the botanicial names of each leaf. They can also feel the outline or margin of each leaf shape and also transfer the wooden leaf cut-out onto matching leaf card outlines. 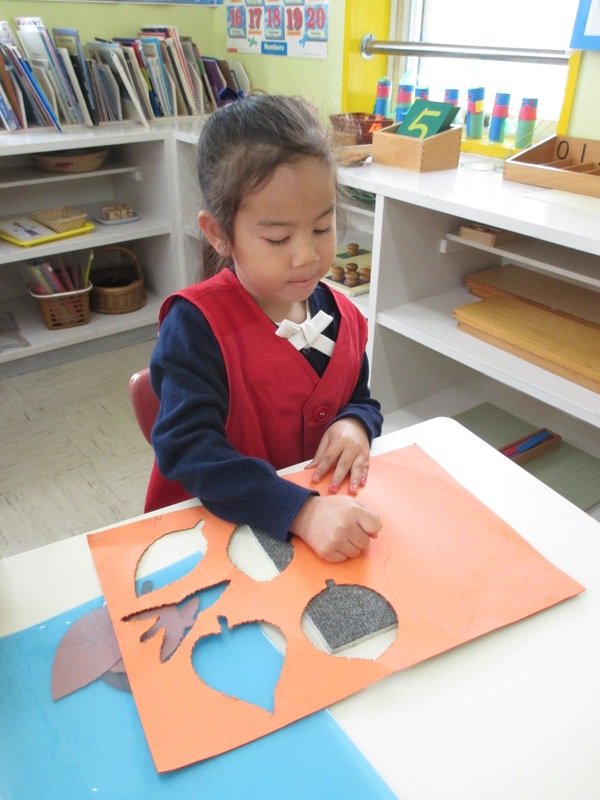 Other extension activities consist of simply tracing and colouring, tracing and cutting out or the most popular to trace and punch pin around the outline. Art activities such as leaf rubbings are also of great interest in the classroom! Of course going on a nature walk is what helps us all learn more about the changing leaves of autumn. 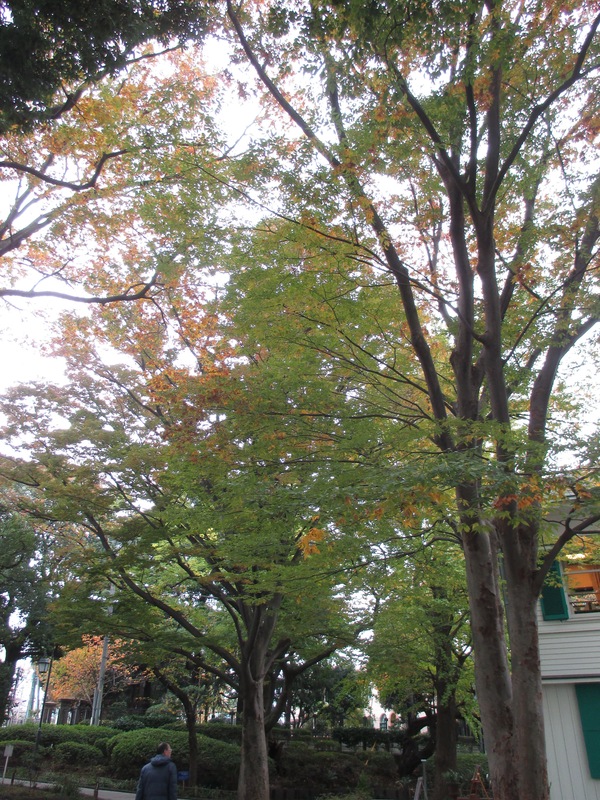 It is also a chance to go for a walk with our classmates to discover and learn about the trees and their leaves in our neighbourhood. After reading a book about the evergreen tree, we were very good at pointing them out along the way. 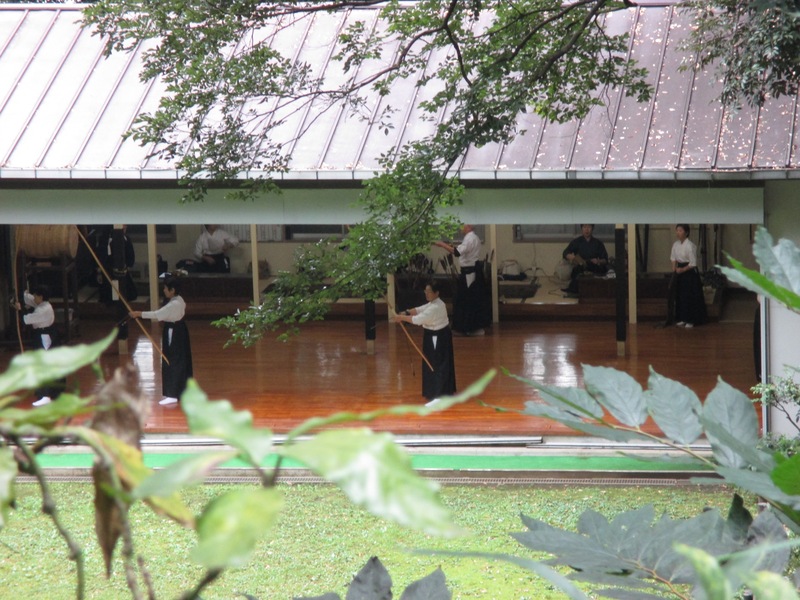 As we all walked down the pathway to Motomachi Park we saw the Japanese archery club in action. 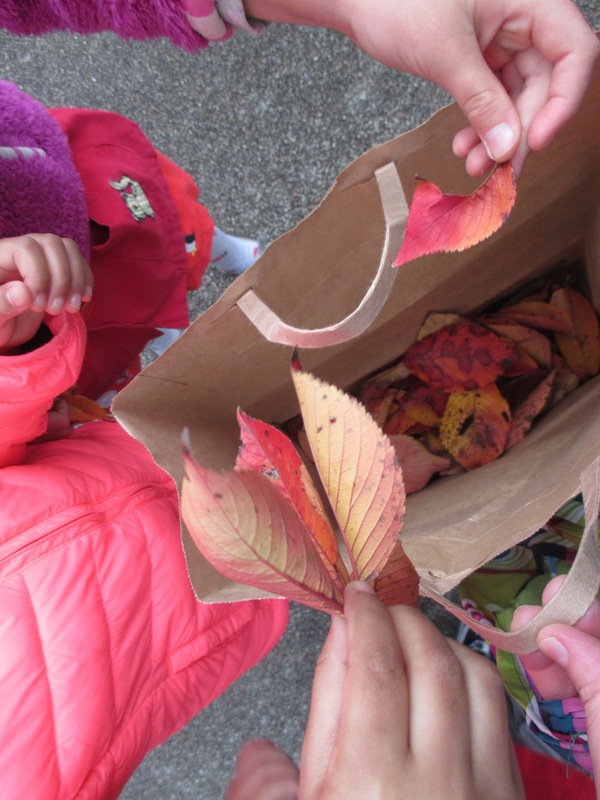 We filled a bag with so many colourful leaves! 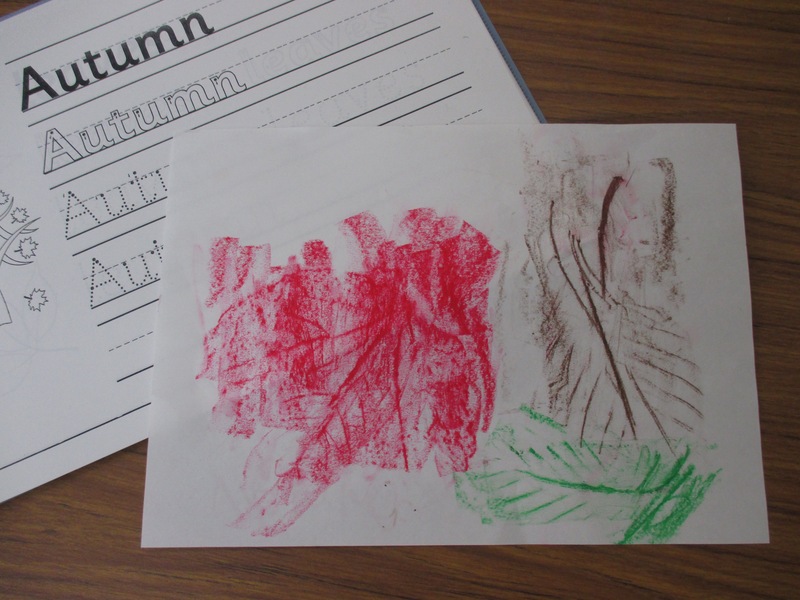 Some we used for crayon rubbings. 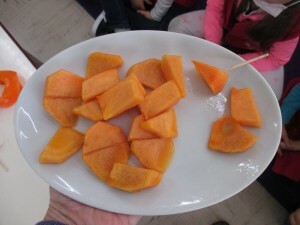 With the season of autumn comes delicious fruits and vegetables. 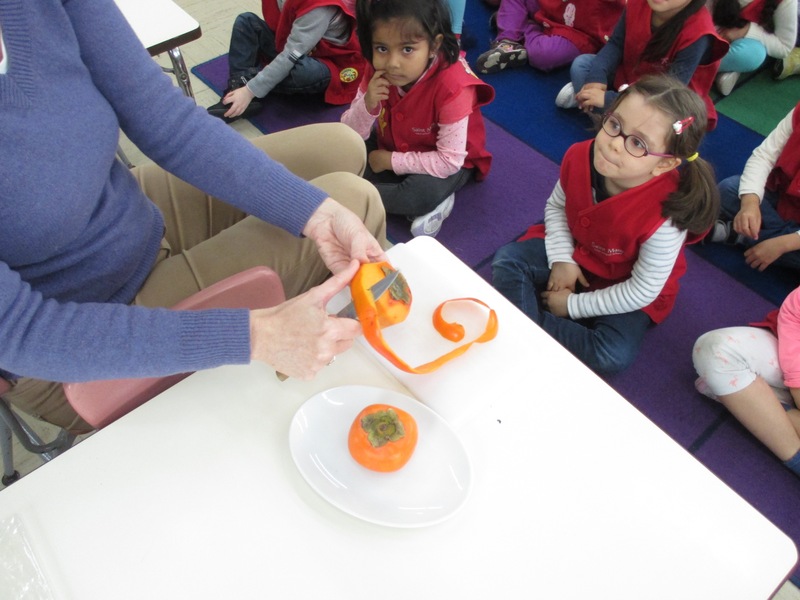 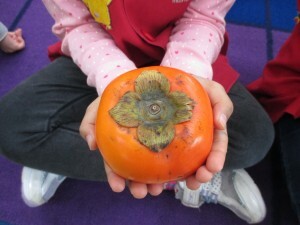 We discussed how the persimmon or kaki (in Japanese) which is in season this time of year, grows in two different shapes. 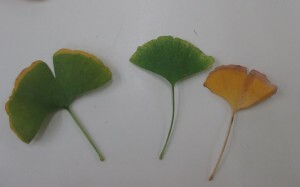 One is more square and flat in shape, while the other has a pointed bottom and can be eaten both fresh and died. We passed the persimmon around to touch and smell. 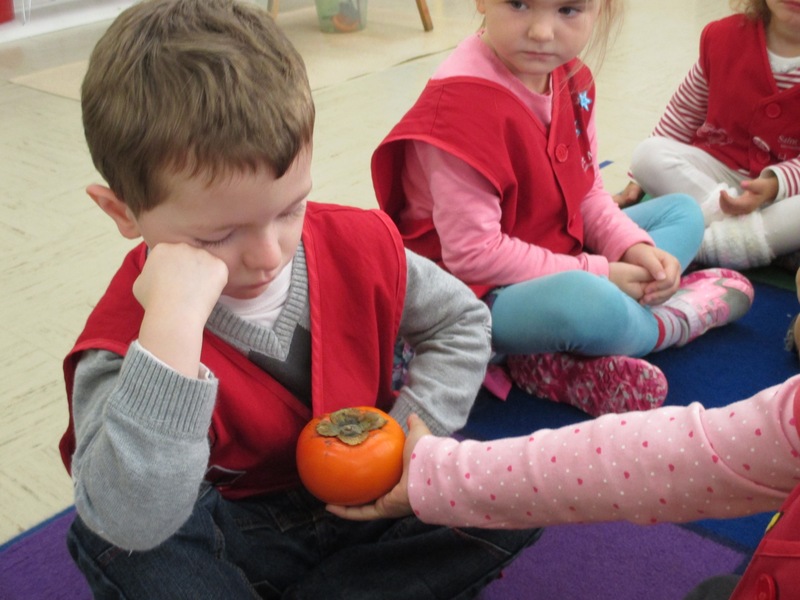 The persimmon didn’t last long on the plate….it was so sweet! 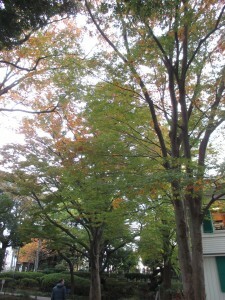 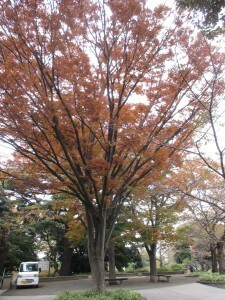 I loved the Autumn activities. Alishaa had lots of fun collecting leaves, colouring the leaves and specially eating Khaki. It is so much fun opening up a child’s senses and awareness of each season with different experiences.